Just a couple quick snapshots from Day 8. We took it easy today after our big Santa Train excursion yesterday. 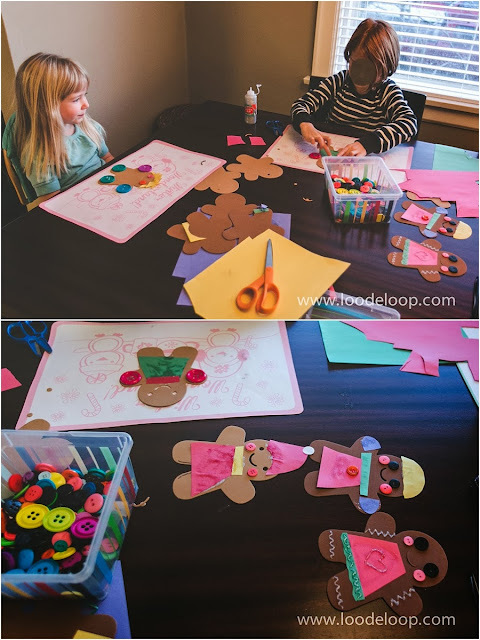 We did a quick little craft of decorating Gingerbread girls while a friend was over. Just a couple of snapshots.